NEW: Sample of Genesis & Proverbs. Update: Click HERE to Order. Sample Pictures of All Bibles – Click Here. In September 2015 Schuyler Bible Publishers embarked on an ambitious project to create a Bible distinguished in style and form that would be in some measure commensurate to the majesty of the “noblest monument of English prose” – the King James Bible. This is the Schuyler Canterbury King James Bible. It is difficult to over state the influence that the King James Version had on Christianity and the English language in general. The King James Version was virtually the Standard English Bible for over 300 years. Even today the King James Bible sells consistently within the top 3 translations in the United States. 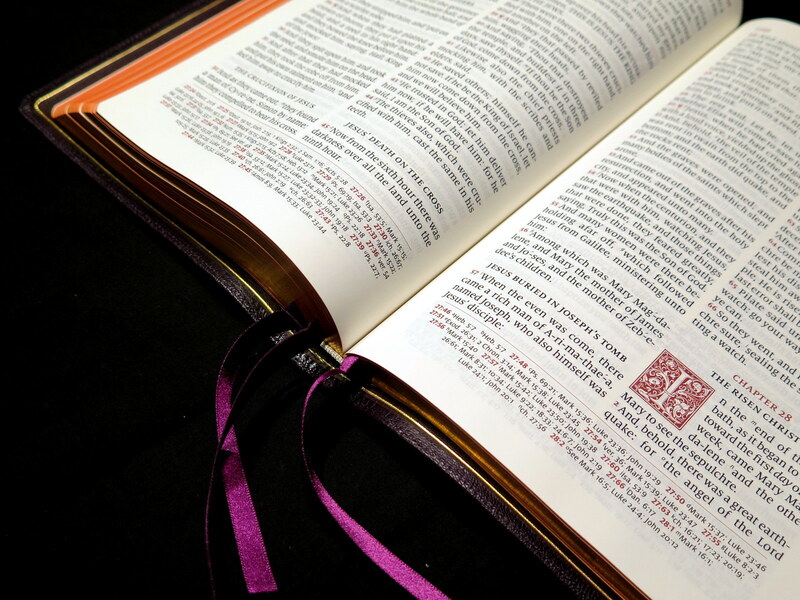 Interestingly – in terms of the most read Bible in the US, it outpaces all other translations by more than 2:1. In terms of global online searches, it eclipses all others. The Canterbury Edition is now available. Schuyler has commissioned a famous Bible Designer in Denmark (2K/Denmark) to create a Bible that is legible, beautiful and embodies the majesty of the King James Version. Other experts in the field have also been consulted on this project. (You can see the initial work in picture form) Please share this page with anyone that enjoys the Bible and enjoys unique ground breaking (and colorful) Bible design! One reason for the KJV’s timeless popularity is its matchless rhythm, poetic style and cadence. Oftentimes while reading the KJV one can literally hear the music coming from its pages. These qualities have made it extremely attractive to readers, for public worship and memorization. The King James is also among the most literal translations available. 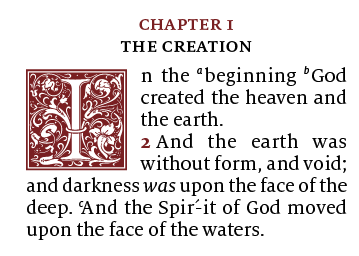 The Canterbury edition (like most KJV versions) will have the words supplied by the translators (not in the original languages) in italics. This makes a the translation even more useful for study and provides the ability to peek behind the scenes – a great study tool. Editions offered: Natural Grain Goatskin, Calfskin, and the soon to be released Leather over Board. Goatskin Colors: Black, Dark Brown, Dark Purple, Firebrick Red, Imperial Blue. Calfskin Colors: Black, Dark Brown, Dark Red, Forest Green Leather over Board: Black.